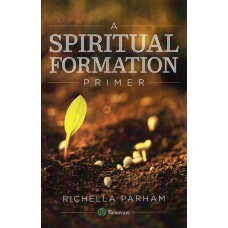 My life is chock-full of transitions right now. For a brief moment in time, all three of my sons are at home again, each one awaiting a new stage in his life. I know this big ole house is going to feel empty very soon. Right now, though, it's very full. And busy. And kind of chaotic. So, just for grins, it's time to do some much-needed work on the house, right? 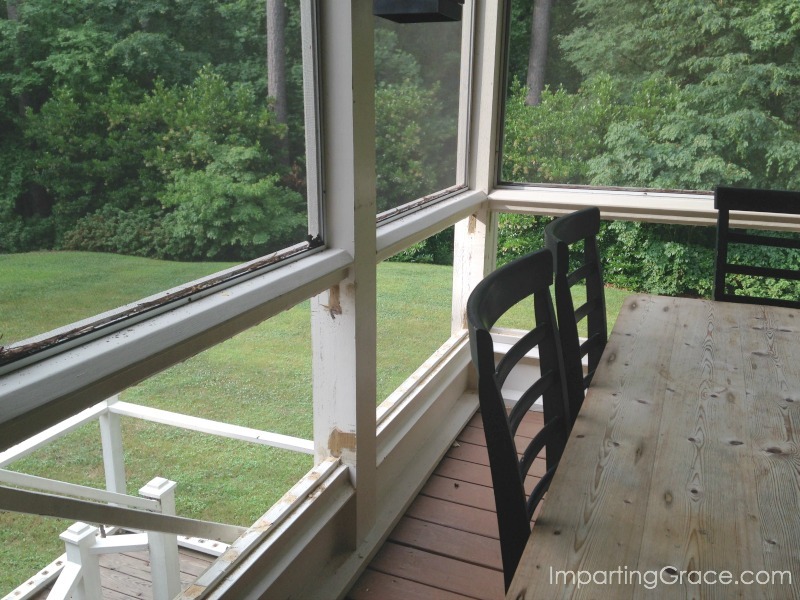 While we're doing the work on the deck, we're also changing the style of the railing all around the screened-in porch. 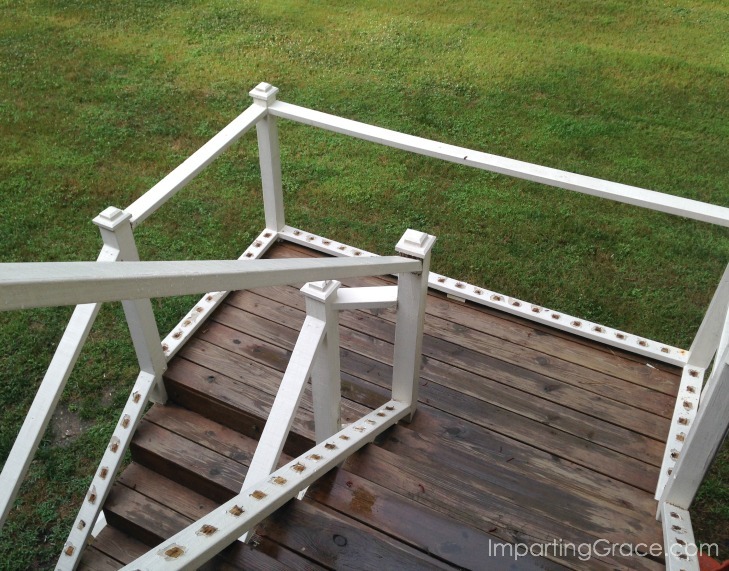 We've never liked the spindles that have always been there, so we'll get new ones to match the new deck railing. Unfortunately, the deck is the route to the back yard for our doggies. They've always let themselves in and out of the house via a doggie door, which is closed for now. They're a little confused. Innocent looking little things, aren't they? 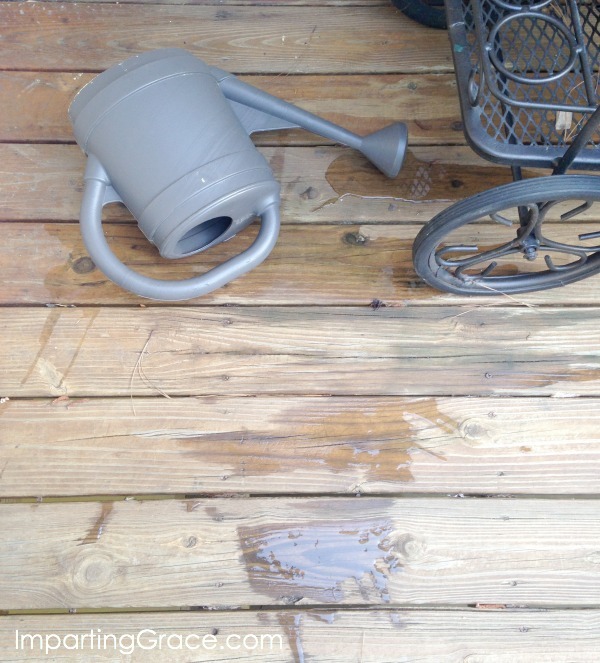 I probably shouldn't have been surprised yesterday morning when Snickers the beagle knocked over the watering can on the deck while I was conferring with the carpenter. She was nosing her way around, trying to figure out what's going on. But guess who was standing on the downstairs patio, directly UNDER the watering can? At least the carpenter didn't get drenched. And it was clean water. Thank God for small mercies. In the midst of the mess this morning, I'm reminding myself that things always get worse before they get better. Right? Right?? It is going to look fabulous when all done. Can't wait to see more. There was never a better photo of confused puppy dogs...lol! Poor babies! 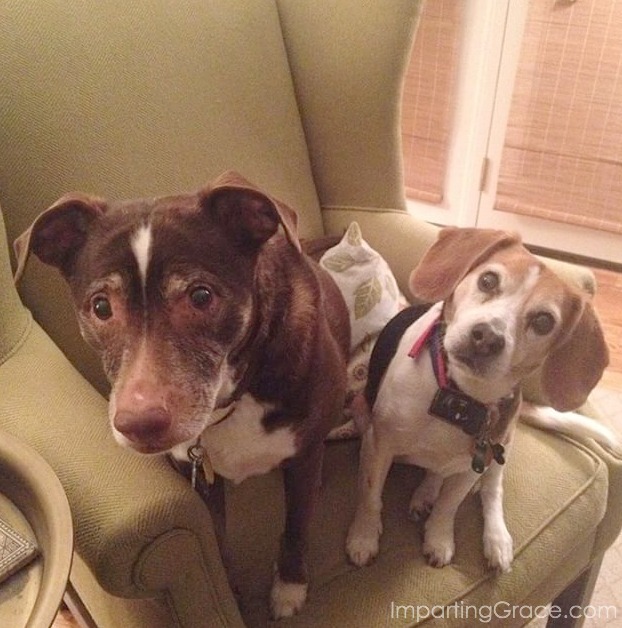 When I am working on projects and the house is in total upheaval, I remember my poor fur babies getting SO unsettled! Your new deck will be lovely, I'm sure...and enjoy those boys of yours! So thankful your boys are home with you for the time being! Cherish every second, and enjoy! It all goes by way too fast, doesn't it? Haha! love the water story! Hope your deck turns out great! Oh no! You got a shower in front of the carpenter?! Hahaha! I’m sorry but that’s hilarious! The things we endure for our pets! I know you are loving having your three boys home and I'll bet that your grocery bill has skyrocketed! 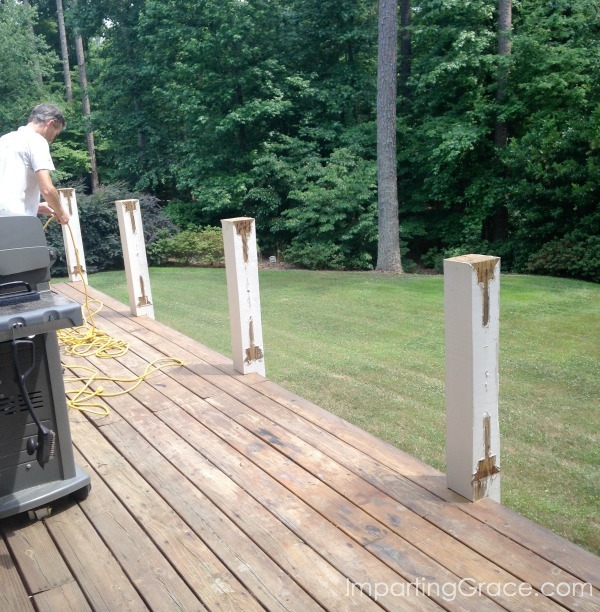 Looking forward to seeing the end result of your deck update.